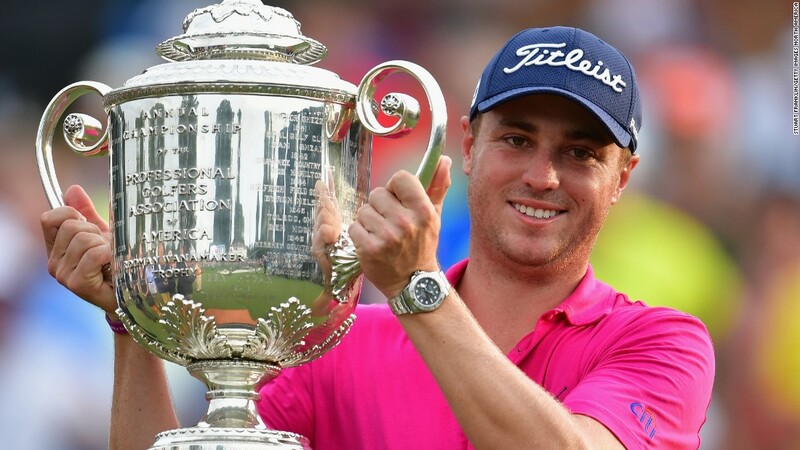 (CNN) Justin Thomas kept his nerve on Quail Hollow’s notorious Green Mile finishing stretch to land his first major title Sunday. Patrick Read had emerged as the closest challenger, but bogeyed the treacherous final hole to finish with a fine 67, sharing second place with Italy’s Francesco Molinari (67) and South African Louis Oosthuizen (70). Matsuyama, like Read within one shot of Thomas entering the Green Mile, fell away with bogeys on the 16th and 18th to finish in a tie with Rickie Fowler on five-under.